The HYB group is pleased to announce its participation at this year’s RemaxWorld Expo-CHINA from October 18th-20th in Zhuhai, China. 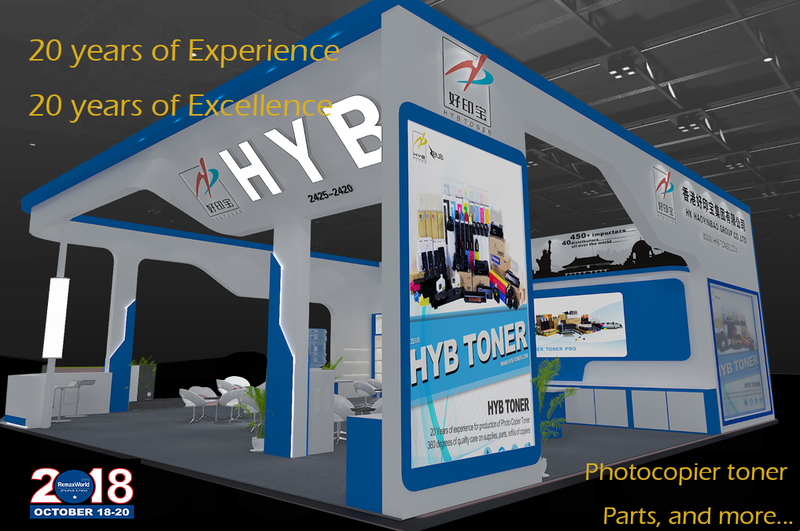 The HYB Group—a professional and experienced copier consumables manufacturer based in China—is one of the large exhibitors at the show. With most players fighting over the low-end market, HYB earns its considerable market share by maintaining an exquisite balance between high product quality and competitive price. Since 2004, HYB has developed 20 agencies around the world and serves more than 585 key customers in 77 countries. In the current market, HYB products are widely distributed by experienced agencies like MR TONER in South Africa, Staples Trading in Ethiopia, and other 10 agencies around the area. In the LATAM and European market, there are also there existing 10 distributors who hve been confidently selling products under HYB trade marks for at least 5 years. In China, HYB owns 3 factories equipped with 9 production lines to produce 350,000 copier toner kits and 120,000 compatible laser toner cartridge every month, as well as their own testing facilities to test the quality of 3,800 tons of toner per year. The R & D capabilities enables HYB to add the copier spare parts into its key product range, which now are part of its All-in-One solution providing to the distributors and dealers of copier products worldwide. “To those distributors who mainly care about lower price, our product might not offer the short-term revenue they’re looking for,” says Vincent Chen, founder of HYB group. 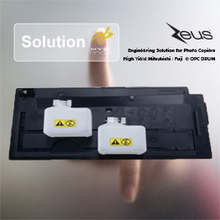 “However, those customers who are looking for quality toner as replacement to Genuine products can always find the maximized profit from HYB products free-of-troubles. 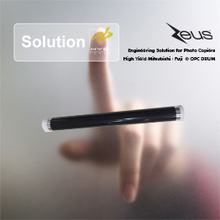 Attentive technical service and consistent quality product are our key weapons to win customers,” he added. In 2018 HYB will greet and receive visitors at booth 2425/2420 of the shows, and a series of new products will be released during the show.